On the New Year’s day (2070) morning at 9 about 40+ individuals started the field trip. 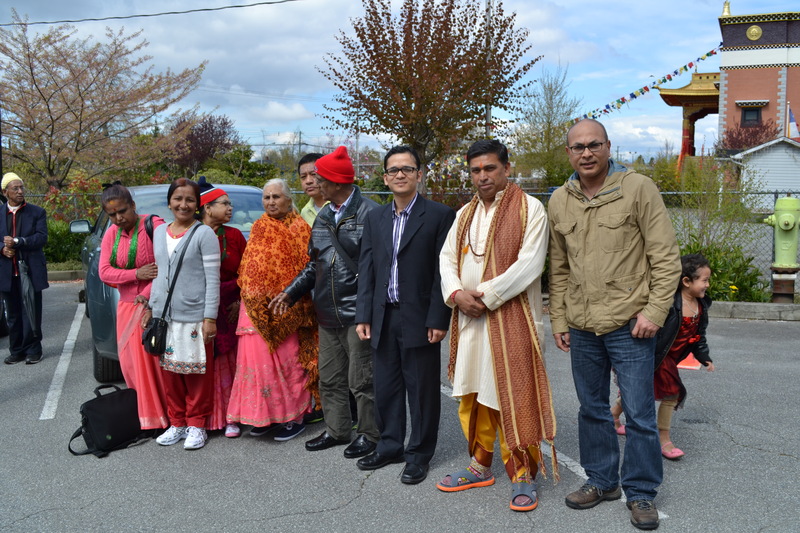 The first destination was Ram Krishna Mandir at the Vedic Cultural Centre of BC – Richmond. By the time we reached few people were in and they had just begun bajan/kitan. 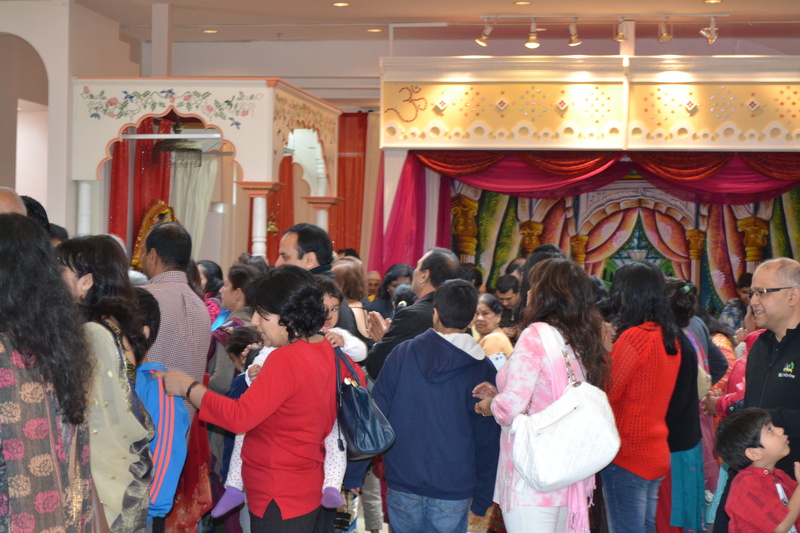 Our folks joined them and slowly other devotees, mostly Indian and few Nepalis joined the function for about 2 hours. We were warmly welcomed. The priest, temple committee members, and the guest priest from India and other volunteers took good care of us as well as they referred to our heritage, culture, country, and our friendly nature several times during their speeches. We certainly felt very privileged. In addition they extended their help; some volunteers took contacts of our folks to establish future communication and foster relationships. Some Nepali devotees too expressed to be in touch and help find jobs for our youths. We had very delicious lunch after aarati and kirtan. Some expressed desire to visit the Thrangu Monastery that is next to the Hindu temple. We entered and initiated hello to Lamas in English in return they greeted in Nepali language—we were thrilled and astounded. It turned out to be that all six Lamas are Nepali and it is a Nepali Monastery. What can one expect more than that? 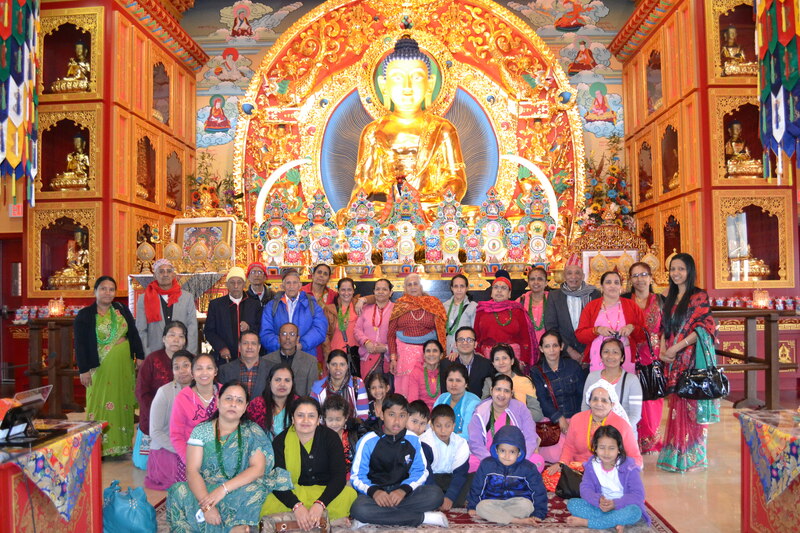 The visit to the Monastry reminded Bhutan to many of our folks. 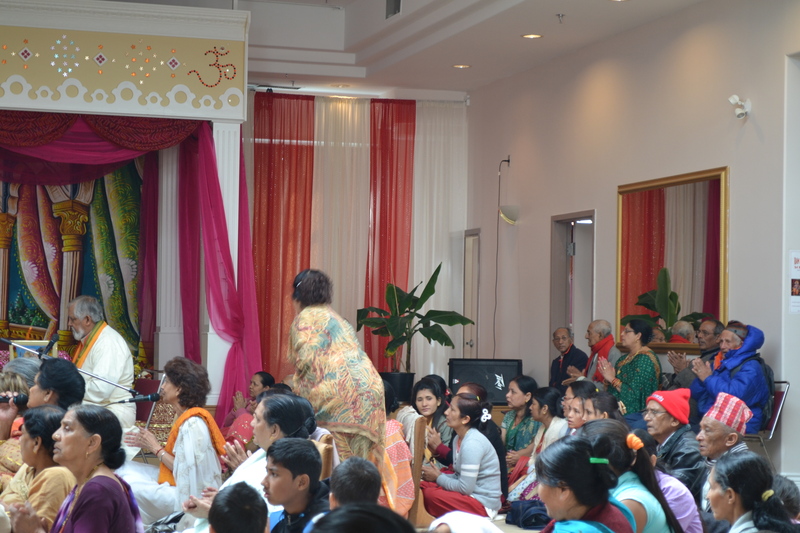 After that we went to Mahalaxmi temple in Vancouver which was already closed but they opened just for us and greeted with Prasad and Blessings. turn the page and take a look”.